Precision Diving | Be better this dive than the last and better the next dive than this one. I suppose it should not surprise me that a conversation, well, more an exchange about philosophy should lead me back to diving, but after reflecting on it, it did. In my daily quest for science news for my other effort in posting way too much about water news and science, I happened upon an article about Wittgenstein being a mystic in Scientific American. It is titled Was Wittgenstein a Mystic? : The philosopher’s greatest work, Tractatus Logico-Philosophicus, only makes sense in the light of mysticism? Don’t click on the article yet. I will suggest a process in just a moment. It is written by John Horgan. My first thought was what is this doing in Scientific American? My second thought was wow, I do not see Wittgenstein come up in everyday life very often. I should at this point explain I was a philosophy minor as an undergrad. Wittgenstein is my favorite modern, well semi-modern philosopher. Plato is my favorite, let’s call it classic, philosopher. I will talk about the article itself more further down. But, I was inspired to add a comment to the article page. Then, I sent a note to the author on Twitter. If you feel incline, I would suggest reading my comments first then going and reading the article. This order might help with background so it is a bit easier for the less philosophical of us here. My comments are below for easy access or should be up top on the bottom of the article. My comments on the article to the author. Interesting piece. I applaud the effort as I rarely see Wittgenstein addressed. I think most people take Wittgenstein’s work out of context and the time it was presented. It stands on its own but needs to be understood in context of why he produced the work. At the time Russell and Whitehead were powerhouses and symbolic logic was the soup de jour of the time. The quest for a perfect language was a real effort and math was thought to be the road to that answer. Wittgenstein’s time in jail gave him some time to think a lot and he wrote the Tractatus as a reply to this dominance of symbolic logic and the work of Russell and Whitehead. What better way to argue against something than to begin by using what you are arguing against to build the case for it? A bit of pseudo Socratic method ish. Wittgenstein makes a very strong argument for symbolic logic and the quest for the perfect language. A belief that is a sort of reductionism that all things could be explain if only… If only there was the right language. The idea that some things or experiences are not possible to explain was not seen as true, but rather an exercise in the failings of humans to construct the right mechanism of explanation. So, many people have a very hard time with the first half of the book. Which is largely the defense or buildup of the for argument for symbolic logic and the idea that math is the most likely perfect language needed to explain all. Wittgenstein flips the script after building up this argument and uses his own argument to destroy this notion that all things can be explained. To the conclusion that there are things beyond language. That not everything can be explained. That experiences and certain aspects of existence are literally unexplainable. Not because they are beyond comprehension, but because they have to be experienced to be known fully and there is not a way to produce a form of communication that captures that full experience. So, if you want to call this mysticism, that is fine. Or you can simply call it by what Wittgenstein likely meant that humans have internal experiences that transcend language and the construct of language is limiting and not encompassing enough to capture or share these experiences. That does not necessitate doing acid, it can be any experiences that brings more to the experiencer than can be explained or that language allows to be shared. Take, for example, love. I believe that love is an action not a feeling. It is why it is so difficult to define and why there are so many issues with the discussion of love. To fully know love you need to experience it and it is in context of an object of focus for that love. Even if that is toward one’s self. It is why we have art and a lot of energy in art goes to the subject and topic of love. Because it is an experience beyond language. So, art and the expression looks to inspire feelings or aspect of the love expression and experience, but will never fully provide it, but gets closer than language is able to. So, perhaps it is better to say Wittgenstein was an artist. His medium was philosophy and language. Ironically, to point out that his medium is not enough to fully explore experiences that are beyond the medium. So, the beauty of Wittgenstein’s revelation is that there are aspects of life that have to be experienced to be known. There is no other access to it other than living it. In this context, what is lived is real and whole in its own context of experience. Not to complicate it with metaphysical arguments that would confuse the matter further. In an extension beyond his work, this means we can trust in our experiences to hold a truth that we may never have language to describe and is known in their experience making sense that we may never be able to share fully. Going forward does hold as much truth as things we could explain in the traditional sense. Or perhaps even more truth for the person with that experience. Perhaps this is what we call a gut reaction simply for lack of a better explanation for it. Or a gut feeling that is not the same as feelings but tied to them. But, live a much bigger part than just that. The distant time suspended experience you mention is known outside of mysticism and often called flow or being in the zone in a sports or activity context. There is pretty good science that this is a function of right brain activity where the time center is suspended, and the brain is functioning from its less dominate side. I digress, but it is worth considering and exploring if you care to try to have these experiences without the drug induced requirements. So, the confusion that reaching for this or knowing this arena is a place of silence is true but confusing for people. It is not that it is so mystical that it is inaccessible or foreign to all but a tiny few, it is simply a different experience that is not based in language and has to be experienced to know and there is not an adequate way to share in it without experiencing it because it is beyond a way we have yet to communicate it. It may be outside our ability to communicate it to others in a way that matches each person’s experience simply because the transformative experience is individual and why transformative experiences are never the same twice because the person is literally changed through the process. So, even the same experience the next time has a different outcome because the person going into it is not the same person that entered it the first time. Even Plato addressed similar aspects when Socrates in the Apology speaks to philosophers being closer to the one or death. That there was a place through experience that led to a space beyond language. Not in those exact words, but the idea that the more you learn the less you know was a common theme of Plato. This can be seen as an extension of some areas of life being beyond language. Wittgenstein gets a bad rap, not because he is a mystic or hard to understand, but because symbolic logic can be tough to understand and the context of his one book is not understood about what he was trying to address. He essentially destroyed Russell and Whitehead’s approaches in this area with an argument so solid there was really no response. Both were established and become huge icons in foundational mathematics and math philosophy, but the perfect language work pretty much died with this work. In this context you can understand Russell’s amazement and his desire to sponsor Wittgenstein. Whitehead was not as warm to the idea. This work alone basically got Wittgenstein his PhD. Also, it needs to be understood that Wittgenstein wrote it well before his arrival and sponsorship by Russell. It is an amazing story and a hugely powerful moment in philosophy. Since the final conclusion is that there are aspects of life beyond language it means many views are possible for who Wittgenstein is and for what all of this means. So, mystic is fine to decide fits the person, but we could easily say he was an early student of flow and performance philosophy too. Neither is complete enough alone to cover the full impact of the work and what it means. Yes, way too much use of so. I was tired and it was late, what can I say. Okay now go read the article if you like. Since making the comments I heard back from the author, which is cool. He felt the comments helped him learn more about Wittgenstein. A high compliment and I appreciated that. Now, a few days removed, it dawned on me that once again diving is a perfect illustration or application, if you would, of what I was discussing here. I did not use it as an example in my comments because I kept my reply to big general ideas. Love being the main example. But, my well duh moment today snapped the connection to diving. Feel free to comment if you find a connection to diving before reading on for my feelings about the connection. Wittgenstein, as I explained, can be considered a mystic in the context of the article, but this removed and often esoteric position suggests a remoteness or special access to a process unfamiliar to most of us. The work of Wittgenstein is not an easy text to get through. Which I address in my comments. But, if you take the main conclusion and the revelation he makes that there is life and experience beyond language, you might begin to sense the connection to diving. Diving is transformative. I think any of us that dives that has had issues trying to explain why we love it so much or telling a great dive story understands the conclusion well. There are experiences in diving that are beyond language. This is why it is tough to share with a non diver just how awesome a dive experience that changed us is. It is why divers at different levels of accomplishment may not be able to have a conversation about the differences they experience. A dive together might do more than a conversation. Okay great you might say, that was an obscure way of getting at that. There is a deeper importance to this. In teaching diving or continuing in diving, we need to think about this and how we try to talk to students about diving. Precision Diving provides a way to mentally approach diving, but you will never fully understand or “get it” unless you dive it. Diving it out, given this idea that it may be beyond language, is a better way than talking it out. Talking has a place, but perhaps it is far less important than we truly believe. Likely, Wittgenstein’s conclusion explains why we have a tough time in marketing and promoting diving. Our words and images are just too far removed from the experiences and internal processes the experiences bring, leaving those experiences beyond language. As I mention in my comments, this is true of love and why love is such a large topic in creative expressions of all sorts and so poorly worked out by language. It means looking to a silver tongued bullet that makes the magical connection we all struggle to find might be a fruitless search. Perhaps, even our approach to the experience parts are still too connected to language. Additionally, a warning to those that want to race forward and believe they know enough to be diving beyond their experience and/or certification. There are a lot out there who race up the tech/rebreather/cave/wreck/sidemount/freediving etc routes, even recreational levels. This likely makes sense for those who do it. It is enabled by the instructors and ITs that allow it to happen. However, if you connect with this idea that there are experiences and parts of life that are beyond language, Then, no matter how well you think you know, in an academic sense, you are ready or know enough to be doing X like so and so, you are relying on the wrong evidence to make that decision or shall we say the wrong pieces to justify you are correct. There are components of diving that you will not learn from a book, or a lecture, or from researching the internet, or having a conversation, or by faking it, or talking yourself into it. Just like love. You have to have the experiences. You have to take it diving. You have to have a strategy to apply your skills and bring them together in an integrated way applying them in the water. While, doing so enough times to have different conditions and challenges in your applications to have those experiences to truly be competent at your current level. Each new application/level of diving has a similar growth curve. There is no substitute for it. Had the privilege to do an orientation yesterday for 11 divers. I am not sure if I mentioned this technique previously, but I have been doing this for years now from beginner to highest level divers, so I thought I would share it now. If you want to improve your frog kick technique, take your fins off. Yes, you can actually move without fins. I recommend you do it in the pool first, of course. You will be surprised at just how well you can move, actually, even with doubles and stages if you like. The great thing about this is if your technique is not good, you do not move. So, by feel, most divers will naturally feel their way into pretty good technique. If you are teaching, you can work with those that have trouble on the how to do frog kick, but most will self adjust and begin to make way. After ten or fifteen minutes most are moving with ease and will be commenting that they never believed they would be able to do this and be surprised as to just how much they can move. Remember to find the glide as well. Tamer works on no fins use to improve his frog kick in the deep end. He worked first in the shallow end on the same. It also lends itself to early and easy adoption of flat turning (turning or rotating over a fix position). I heard several comments that flat turning was actually easier without fins. Yup, levers are a lot shorter. Make sure you try it in both direction. You would not want imbalances in your technique. This little shift also lends to finding your way to the ever elusive being about to swim backwards. Without fins, you can feel what angles with your feet make things work for you. Plus, it tends to be much more intuitive. One note. When you put the fins back on, you will need to be much more patient with the movements as it takes more time to allow the water to move around the fins than your feet (longer levers). So, slow way down and remember to allow the movement to develop over time. If you put your fins on and then move with the same speed, I assure you that you will get frustrated. Remember, by slowing down, you speed up. If you are teaching, remind your clients about this. It will save you some headaches. I have found this is a “trick” that is rarely thought of, turns what people believe on its head, and naturally accelerates rapid technique improvements. Give it a try. When first presented with the concept of Precision Diving, I was skeptical. I had been an avid diver for 13 years already, and had been a Scuba Instructor for 9 of those years. Of course, I believed that my buoyancy was spot on. Curious, I decided to take the Precision Diving Orientation with my Instructor, Grant Graves. The week before our pool session, we spent time discussing and practicing proper breathing techniques. In steps, I was taught how to breathe ideally. Basically, how to use my entire lung volume and how to apply this technique while scuba diving. It was explained to me that by effectively using this technique, it would be like adding or removing 5 lbs. of buoyancy. Still, I was not convinced. The following week was our pool session. We were in a very deep pool, which allowed for the set up of several underwater marker buoys. We used these buoys to judge just how accurate our buoyancy was. We donned our gear and were given instructions as to the length of time we were expected to hover at the height of each buoy. I eagerly entered the water, with my 13 years of confidence riding very squarely on my shoulders. WOW! I spent the next hour taking hit after hit to that confidence I entered the water with. It was like I was a new diver all over again. I was ideal breathing and trying to control buoyancy solely with my lungs. Time after time, I missed my marks and under-shot my timed expectations. This was an ego killer for sure. 3) Grant said these words to me, “You are not as good as you think you are. Neither am I”. Coming from one of the most accomplished divers I personally know, that carried a lot of weight. Over the next couple of weeks, I spent time in the pool working on my breathing technique. Each time was better than the previous. The leaps in improvement were large, surprising. I felt comfortable in my “skin” again. The third weekend rolled around and I had the opportunity to work with a “would-be” diver. He was not a very strong swimmer, nor particularly athletic. He was an older gentleman, which doesn’t matter, except for the fact that, again, he wasn’t particularly athletic. What he did have was a strong desire to scuba dive. I had previously spent at least 12-16 hours in the pool with him. I know of another Instructor who had spent about 8 hours in the pool with him. He still had not mastered the skills to the point that either of us would sign off on him to go to the ocean. Quite frankly, I had no confidence that he would ever make it to the ocean. As the Gods would have it that day, I was able to work one-on-one with him. We spent 30-45 minutes just talking about and practicing ideal breathing on the deck. He seemed to grasp the concept. We donned our gear and did a giant stride entry into the 14 foot deep pool. We settled on the pool floor, adjusted our buoyancy, and began to swim. We were swimming side by side at first and his instructions were to mirror me. He’s doing it! He’s not touching his low-pressure inflator hose. He’s using his lungs to control his buoyancy. I am making pretty big depth changes. He’s right there beside me. Consistently. Is this a fluke? After about 45 minutes we surface. He is grinning from ear to ear! This is the best experience he has had so far, through his training. He was getting it! We discussed and went back down for more practice. We spent another hour or so underwater. It wasn’t a fluke! He GOT IT! Long story, short, “Joe” completed his ocean training the following weekend and did an amazing job! Precision Diving? Hands down made “Joe” an extremely good diver, out of the gate. Precision Diving gave me an entirely new skill set. My diving has improved 100%. My joy of diving has equally improved, which I did not think was possible. By adding it to my open water classes, my students are far more confident in their abilities as divers. Precision Diving has proven to be invaluable to me and everyone I have been able to share it with. I can’t fathom teaching an Open Water class or Advanced class without including this segment. My friend Luke recently asked me if it was okay for him to translate one of my talks into Spanish. I said, “Of Course!” It reminded me about the article that inspired the talk. This was originally run in the Undersea Journal in 2003, I believe. It still holds true today, so I thought I would share it here. Many divers do not realize that many of the items they dive with today and view as standard pieces of equipment had their origins in technical diving. Also, many of the techniques that divers view as standard had the origins there. BCDs, SPGs, underwater lights, and many more pieces of diving equipment were originally developed for the demands of technical diving. Cave diving is regarded as the first form of technical diving. This demanding environment pushed the early explorers to develop improvements in the very limited scuba technology of the time. Buoyancy control is critical in diving and even more critical when cave diving. The cave divers saw the need for having more control over their buoyancy than just swimming harder. The cave environment would not allow that. So, they experimented with cutting out plastic bleach bottles and tying them to there cylinders. They would add air to them on descent and dump air out on ascent. This need led to the development of the BCD. Knowing how much air you have would be critical in a cave. The early scuba gear did not have SPGs. Many cave divers would machine their own pressure gauges into their existing regulators. They could then know exactly how much air they had throughout the dive. This also led to more sophisticated gas management practices. What is surprising is how long it took to adopt these new tools in the recreational diving community and level of resistance to the improvements by many in the community. Technical diving is not for everyone, but many of the ideas and techniques used there are very beneficial for the recreational diver. You are not as good as you think you are, neither am I. A great deal of the lessons learned in technical diving are learned the “hard way”. Meaning someone died to allow us to learn from their mistake. It is not uncommon for divers as they progress in their training to feel and believe they have arrived. 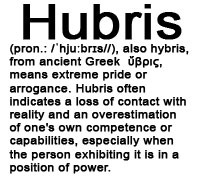 This belief tends to be over stated in their mind. Technical divers know they are not as good as their mind tells them they are. That is why they train for big dives in shallow water first. They may even do dry runs on land. They work up changes to their gear and in their techniques as if they were learning them for the first time. They will visualize the change being used. They will then work up the change in the pool or confined water. Then, they will introduce the change in shallow water and progressively take it deeper. Only when they are total in tune with the new technique or gear will they use it in an actual mission oriented dive. Nothing is just done. Recreational divers can take from this that you are never done learning, that you are not qualified for all environments or all conditions, and when you think you are, it is probably time for more training. We are not talking about used cars. Technical divers know there is no substitute for time in the water. They would not dream of conducting a 300 foot dive after being out of the water for six months. Nor would they think it acceptable to dive a different environment, beyond their experience level, and/or with techniques or equipment that they were not trained to use without first training for that use. Diving is a game of mileage. The more you dive the easier it and the better you become. There simply is no replacement for time in the water. Technical divers usually take great pride in who then have trained with. You hear stories of the greats that have come before and some who are still with us. Training does make a difference. Some are happy to take training with whoever arrives when they need it. Most technical divers who have been “around” for some time actively search out the instructors who they feel will connect with them and from whom they will receive the best training. Many technical divers travel great distances at great expense to receive the best training they can. They understand that training counts. Training will save their lives when it really matters most. Also, it is the training that is going to allow them to enjoy their fullest capability on dives. They will actually be able to do things on dives rather than worry about surviving them. Seasoned technical divers understand there is no free lunch. If a service is under valued, then the product is very likely under delivered. Many technical divers have commented that in retrospect even the most expensive course was very inexpensive. The lessons learned, tools gained and experience developed out shines any thought of economics. Quality costs, but bad training and poor performing equipment costs even more. Realize that you get what you pay for. It may seem like a great deal now, but ask yourself what is it costing me in the long run. It is much easier to learn to do something well the first time. Making up for that will be far more expensive in the long run. You Can Learn A Lot From the Internet. Technical diving is loaded with Internet information. Of course, how much of it is any good and who is actually giving the advice is tough to judge. The Internet is a very valuable tool. It can help coordinate international teams for projects, gain insights into where and who to see in an area of the world you have never been, and so much more. It cannot however replace actually diving. Technical divers know this very well. There are a lot of people who appear to be experts on the Internet that you never see actually out diving. Many do dive and are great sources for information. Be careful whom you trust on the Internet. Check and double-check information that is gleaned from the Internet. Build a consensus of information before you adopt new ideas or techniques. It is said that a little knowledge is dangerous. Knowledge without application can be equally dangerous. There is nothing wrong with a healthy ego. When ego starts to get in the way of judgment that can be a problem. Many technical diving accidents and deaths have been attributed to people allowing their brain to place their rear end somewhere it should not have been. Technical divers know they must be ready for what they are going to do on all levels. If they are not ready they do not dive. No questions asked. Make sure that you are ready for the diving your brain (ego) is saying you are capable of doing. Do not let your mouth talk your body into something it cannot handle. One of the things that makes diving so pleasurable is that it is an internal sport. Much of the activity lives within us. Plus, we have to perform and do it well to fully enjoy diving to its highest capacity. Technical divers understand that they must be in control of their dive at all times. They are solely responsible for their diving outcome. It is important that you never allow anyone to talk you into something you do not feel ready to do. Also, it is just as important that you do not rely on someone else to conduct your dive for you. Only you can dive for you. Cheap Second Hand Parachutes Anyone? I do not think many clients in the skydiving field would say such a thing. Technical divers would never insure their lives to inferior or below standard equipment. It is their life support. Technical diving is equipment dependent and as such, equipment and its maintenance is treated very seriously. Equipment is the tool that allows access to the world being explored. Technical divers error on the side of better is always better. Diving equipment is life support. You should treat as such. If it has been awhile since your equipment has been serviced, rather than assume it will be fine for the next dive go get it serviced. It is good piece of mind. If your gear is a bit out of date or your diving requires more of your equipment now than it did before, consider investing in better equipment. If you take care of your gear it will take care of you. You quickly say the imperial weight of seawater. Good answer. Technical divers are very aware of this number. Whether it is metric or imperial. They realize with all the gear they wear that every extra speck of surface they expose to the water that need not be is forcing them to move more water. Streamlining and balance in the water are critical. They spend enormous hours mastering a working position placing the smallest surface area against the water as they move. It does not seem like much, but it can literally mean their life. If they are not efficient in the water they could literally breath too much gas and not have enough to complete their dive. Everything on their gear is placed to reduce drag. There are no dangling slates or lights or clips. Everything is tucked away. They rig for wreck and dive with cave techniques. Although not as dramatic for the recreational diver, the benefits of streamlining and balance in the water are clear. Greater gas efficiency, lower exertion, more comfort, ease of movement, and grace in the water are all benefits of working on streamlining and balance. This does not come easily or naturally. Most courses can only start you on the path. If you dive once a year or all year long, better body position in the water is as critical for you as the technical diver. Simply try to avoid having anything on you that creates unnecessary drag in the water. Tuck hoses, stow accessories, bring your arms to your sides and think about how you can minimize moving any more water than you have to. Technical divers understand that it is very important to have a system to work from when diving. Survey courses only lend to learning many ways of doing things, none of them well. They also understand that you can never “systems” the diver out of the equation. It is more important to train the diver first than to trust blindly in a system of diving. The system is only going to be as good as the diver who operates it. Systems can and do make diving operations better and safer. However, technical divers understand that the system begins and ends with them. It is important to learn a system of diving that allows you the freedom to develop your skills in a guided pathway. However, never forget that you are responsible for the application of any method of diving you use. Train with those that help you make yourself the best you can be first and help you apply the system you choose to you. Technical divers understand that gear is rarely the problem. It is the operator that is the problem. If they are experiencing a problem while diving they do not blame their tools (gear). They look to see what and why they are having problems with the gear and then they fix it. They do not simply continue to dive grinning and baring the issue. They take the steps necessary to solve the problem right away. If that means stopping diving and making a change that needs to be worked up from the pool, they do just that. No excuses. They also do not blame their success on their gear. Gear becomes simply a tool to give them access to the area they wish to visit. They carry what they need for safety and nothing extra that is unnecessary. Find gear that works with you and not against you. If something does not work, change it. Do not suffer through multiple dives struggling with gear that is causing you a problem. Invest in the gear that is right for the diving you plan on doing. You will find as you dive more that you will adopt different pieces of equipment for different environments and needs. It is not uncommon to have multiple exposure suits and BCDs. Technical divers would never dream of conducting any dive without complete dive planning. They use systems to help remember all the necessary components of a dive to plan for. They plan for oxygen exposure, decompression obligation, inert gas narcosis, gas management, thermal stress, mission and logistics. They take into account all the other aspects of the dive before arriving at the dive site. For some dives this planning may take months or even a year. Never just jump in the water and see what happens. It takes very little time to conduct a predive plan for recreational diving. Simply thinking through the aspects of the dive that are critical can make a scary dive and thing of ease. Make sure you and your buddy agree on all aspects of the dive plan. That way you are always on the same page during the dive. Buddy diving is the foundation of all diving, even at the technical level. However, every technical dive is planned as if the dive will have to be completed with no one else there. Technical divers always dive as two self-sufficient divers choosing to dive together. Never assume that anyone else can or will help you on a dive. It is always better to be able to help yourself than rely on someone for help. Plus, it makes you a better buddy. You are more able to deal with your own difficulties so you are better prepared to lend assistance when your buddy really needs it. It is also important to make sure you gain the necessary skills to lend assistance when needed. Rescue training and the associated additional training are a must. In technical diving running out of gas is unacceptable. Short of total mechanical failure, dives are planned in great detail to avoid such things from occurring. The reserve carried by a diver is not for his buddy, but rather for him or her. If that diver chooses to provide that gas to his buddy is up to that diver. If providing that gas will cost the diver their life, the decision is to not provide the gas. Gas planning is one of the most critical aspects of preparing for a technical dive. In recreational diving, there is just no excuse for running out of gas. Gas management should be a part of all predive planning for even shallow dives. Leave reserves on all your dives and carry redundant gas supplies for deeper dives. There is no time in any dive where you should be unaware of how much gas you have. If you have total mechanical failure of your breathing system, then and only then is it acceptable to be out of gas. Then the use of a backup supply or buddy is acceptable. Mechanical failure occurs less than five percent of the time. Other than that, there is just no excuse for running low or out of gas. None! Execution is more important than achievement. Technical diving horror stories are racked with divers pushing far beyond their limits or the limits of safety in a quest for achievements with little to no rewards. Most balanced technical divers realize that how well a dive is conducted matters as much if not more than a number on a depth gauge or a distance in a cave. Respect is gained through conducting all dives well. Even a dive in 100 feet/ 30 m of water done very well, will gain more real respect than a dive conducted to 400 feet / 123 m where the diver executed the dive very poorly. Technical divers do not rush to depth before they can execute all skills and techniques flawlessly in shallow water. Do not be in such a rush to push your limits. Achievement will come in time. It is far more important to take the time to gain the ability to really execute a flawless recreational dive prior to adding additional tasks or pressures to your diving. Plus, you gain the added benefit of much greater confidence in your diving. This frees you to concentrate more fully on what you see and experience while you are diving. When diving becomes second nature through concentrated work to master execution that is a true achievement. Technical diving has a saying that anyone can call the dive at any time for any reason with no negative consequences being applied. This is taken very seriously. In fact, not so long ago, if a dive was called, those involved would often not even discuss the reasons behind it for fear of applying pressure to the decision in the future. To this day, it is completely fine for any member of a team to call the end to a dive without any reason. It has always been thought that such a choice was the only logical position to have. Who is to say someone was wrong. If a diver was made to feel guilty for ending a dive prematurely and the dive was to continue, the whole team would be endangered. Once the dive is ended the entire team exits the water. Far too often in recreational diving when a member of a team tries to call for the end of a dive the other member simply waves goodbye to them. Affectionately know as “the kiss off” the two divers go their separate ways. On more than one occasion, this has ended badly. When one member of a team wants to end the dive, both members of the team should proceed to end the dive together. There is always time to make another dive or to fix the problem that occurred. It really is a matter of respect for those you dive with. This is well understood by all technical divers. The process of diving under pressure compresses gas into solution in the body. By ascending you are by definition decompressing. There are differences in no stop and required stop diving, but the message is clear. You must account for and accurately track decompression for all dives whether they are no stop or required stop dives. 200 feet / 60 m per minute? What are you crazy? What could this possibly mean? You must be talking about some kind of new piece of equipment. Nope, I wish I were. This is one of the reported observed ascent rates after the average recreational diver is finished with a safety stop. Technical divers know that a dive is not over till well after they have reached the surface. In fact, they fully understand that the greatest increase in pressure is the last twenty feet/ 6 meters. So, the final ascent to the surface for most technical divers is very very slow. They do not want to rush through the greatest pressure change they face for the entire dive. Often the surface is viewed as another point of decompression or the final stop. They know that the dive does not end until hours after the dive. Technical divers also know that rushing to get off the bottom is probably a bad idea as well. If rapid pressure change is bad near the surface than it would make sense that it is probably not the best idea at depth either. Technical divers have been adding deep stops to their profiles for over a decade. They aid in decompression efficiency. Recreational divers seem to be in a rush to get out of the water once they perceive the dive to be over. For many, this is when they begin to leave the bottom. Do not be so quick to leave the bottom. It is not a bad idea to add a deep safety stop at half of your original depth. Or better yet, try to make all dives multilevel when possible. If it is not possible, throw in a few delays before your normal safety stop. Error on the side of twenty feet/six meters for the final safety stop and slow down your ascent. Especially when you leave your final safety stop. Consider the surface your last safety stop. Bends is not a four-letter word. Technical divers go into every outing knowing that getting decompression sickness, bends, is a real risk. They plan for this possibility on all dives. They know exactly how they are diving, what they are breathing and are very aware of any symptoms that may arise after a dive is over. They are prepared with oxygen and emergency assistance plans for all dives. They are also quick to seek help when they believe they might have a problem. They also carry diving insurance to help offset any costs that may come from seeking treatment. This helps avoids delays in treatment and basically eliminates any financial resistance to seeking treatment. You want to keep track of your dives and plan taking into account all factors that might put you at greater risk for a problem. Purchase diving insurance that covers expenses for treatment for diving related problems. It eliminates any financial resistance to seeking medical advice if you suspect you have a problem. If you dive, there is always a chance of a diving related problem on any dive. These are easy to avoid, but do not avoid seeking medical advice whenever you have even the slightest suspicion that you might have a problem. Even if you just give DAN a call. When in doubt, get yourself checked out. 70 % = 1/3 Huh? That is correct. Not if you are studying math, but if you understand how your lungs work it is true. Seventy percent of your gas exchange occurs in the lower third of your lungs. This lesson is not so much an advent of technical diving, but rather of extreme freediving. Tech divers have been concerned about breathing for some time. Gas can go fast when you are deep. Freedivers have to do their best on one breath. They spend a lot of time making that one breath count. They use deep relaxed diaphragmatic breathing. They fill their lungs from the bottom by dropping the diaphragm and filling them to the top with the chest. They have a relaxed pause at the top and then use a slow exhalation. Tech divers have been using this breathing pattern for years to optimize their breathing parameter. This is the most efficient breathing pattern there is. Even with workload changes, the seasoned tech diver knows that they will not get any more gas if they alter their breathing from this pattern. In fact, altering breathing could actually make their breathing less efficient. Or worse, it can cost them their life. You should look to refining your breathing habits to increase your comfort in the water and get more time in the water. Small changes in breathing techniques can pay huge dividends in bottom time immediately. Work with a seasoned instructor to polish breathing or join a freediving clinic near you. This is a tech divers credo. The best tech divers realize that they are never done learning, training or growing. Complacency can and does kill you in tech diving, but more often it just hurts performance. In technical diving that is the only thing that counts. Being able to do things on the bottom is the only reason to go. Once you stop learning you become out of date and you can be dangerous. Tech divers are always polishing performance and continuing to educate themselves on the state of the art. You are never done training. Get over it. The great thing is if you keep working at it you will find that you enjoy diving much more than you ever imagined. Plus, you gain the skills that allow you to focus more on what you are seeing on your dives rather than on conducting the dives. It is freedom, the freedom to see and do the things you want to do without putting yourself or anyone else at risk. More importantly, it allows you to gain real confidence in your skills. This frees you up to enjoy your dives more than you can possibly imagine. Technical diving is not an end for most divers, nor should it be, but it can supply hard fought lessons to all divers. Tech diving accelerates the learning curve because the demands placed on the diver are a lot higher. The cool thing is that all divers can steal what tech divers learn to make their diving better right now. Try some or all of these lessons and see the changes right away. The only risk is having even more fun when you dive. My friend John Chatterton posted this post on his blog and I thought it should be shared here as it fits into our discussion here. This is reprinted with his permission. Years ago, when I was crewing on the Seeker, I had the opportunity to dive with some really skilled and talented wreck divers. Much of what I now know, I learned from them. On the other hand, I would occasionally come across divers like Ed, who was an extremely Accomplished Bad Diver. For the entire time I knew Ed, he appeared to be an excellent emergency manager who in no way understood the concept of prevention? Ed was a deep air diver, and later a technical diver, who for several years was diving from the Seeker on impressive wrecks like the Andrea Doria. I would estimate that over that time, I watched Ed make something like 40 serious deep decompression dives. Surprising, over that time I do not believe that he ever surfaced having breathed exclusively the gas he brought with him for the dive. He ran out of gas, on virtually every dive I saw him make. One of Ed’s many problems was that he described himself as an “air hog”. He regularly used more gas than the average diver. Now, Ed could have modified his dive plans to better fit his gas consumption rate as it was, or he could have figured out a way to carry more gas with him? He also could have consciously decreased his level of physical exertion which would have lowered the volume of his gas needs, or he could have worked to improve his level of physical fitness and cardio pulmonary efficiency? Unfortunately, Ed did not do any of these things. What Ed did was to become extremely skilled at obtaining gas from other sources while in the water. If his problem was running out of gas, his solution was getting gas from other divers, or from the boat, and he became very good at it. Apparently, an important factor for the selection of his buddy was their ability to supply him with gas. He would also utilize dive boats that had an in water emergency gas supply. If all else failed, he would cruise the anchor line looking for gas from other divers. You can only imagine the myriad of problems this caused. Buddies did not like carrying Ed’s breathing gas, and dive boat operators did not like putting emergency oxygen in the water for the exclusive use of one particular diver. More than once, Ed was out of gas on the wreck before even beginning his ascent. More than once, Ed and his buddy both ended up out of gas, both with a pending decompression obligation. More than once, Ed was blacklisted from a dive boat, and eventually that is what happened with Ed and the Seeker. On one occasion, not on the Seeker, Ed returned to the surface, however his buddy did not. The buddy’s body was never found, and Ed was not able to say what had actually happened to the missing diver? On another dive, and another dive boat, Ed botched setting the hook on the Andrea Doria, and ended up separated from both his buddy and the anchor line, which was not connected to the wreck. Ed did a free ascent, and surfaced owing 99 minutes of decompression, according to his computer. The buddy ran out of gas on the wreck, but surfaced on the anchor line, and ultimately did his omitted decompression hanging from their dive boat, adrift. The vessel they were diving from was now committed to saving the dive buddy, and unable to search for the now lost Ed. It was sheer luck that the Seeker was approaching the site and able to search for Ed. It was even more good luck that we found him. Amazingly, both divers survived, and Ed was diving the Andrea Doria, badly, the very next day. I refer to divers like Ed as, Accomplished Bad Divers, because that is what they are. Now, Ed is not going to come on my website and dispute anything I am saying here about him. This is because he lost his life, not surprisingly, in a diving accident. At some point, he decided to undertake cave training, and became certified as a cave diver. For a guy who has trouble managing his breathing gas, cave diving is either a really, really good idea……or really, really, really bad idea. Unfortunately, in Ed’s case, it was the latter. He ran out of gas, alone, after leaving his buddies, 1,200 feet from the entrance of the cave. Basically, after all that cave training, and after all his deep diving experience, he was not even close to managing the gas he needed for the dive he was making. He had absolutely no idea of how capable a diver he was, or was not? He did not realize how dangerous he was. His focus was completely, and totally, misdirected. Ed was really capable, and knowledgeable, and experienced at only one thing, diving badly. Yes, Ed is certainly an extreme example of an Accomplished Bad Diver, but many of us may know divers who are developing their skills in similar ways, working on remedies, but not prevention. Any out of gas situation, any emergency, any unplanned event, is cause for one to reflect. As divers, we need to honestly analyze what actually happened, and figure out why? In Ed’s case he should have taken his first out of air experience, and had a serious talk with himself. He should have figured out why it happened, and figured out what he had to do to make sure it never, ever happened again. Ed wrongly concluded that he was an absolutely amazing and talented diver, just for his surviving!!! Ed’s survival was a monument to his extraordinary diving abilities, and no one could tell him differently? He was able to prove this to himself over, and over, and over. Unfortunately, I think he believed this the first time he ran out of gas, and probably did not think otherwise until the it was last time he ran out of gas. This blog is not really about running out of gas, or even about poor dead Ed. I want this blog to be about honesty, humility, and perspective. Everyone makes mistakes, and most mistakes can be valuable opportunities for learning, but not when we learn the wrong lesson. If you or I survive any kind of diving emergency, did we do something right, or something wrong? Filmed with Canon 5D Mk ii. I recently was at a TEDxManhattanBeach Salon event and a discussion between TED Talk videos prompted a response from me about failure and the need to redefine it. I had not realized that I thought differently about failure than most until it was brought to my attention with this discussion. That is part of the beauty of TEDx events, they bring very different people together to share in ideas worth spreading. So, in that spirit, I thought I would share this. The discussion was about fear and making big changes in your life. The theme of the salon event was Work Smarter. We had watched a talk by Stefan Sagmeister on The Power of Time Off about taking a year long sabbatical every seven years rather than leaving it to the end of life in retirement. It was clear that many attendees felt fear around failure and that failure is a very negative thing. The risk of change and feeling stuck were clear limits to imagining such an idea as taking a year off. The conversation turned to failure and this is when I raised my hand to contribute a comment. “I think we need to redefine failure and change what it means for people. I would suggest that failure is not negative at all. If you are going to change or try to do anything new, it is impossible without failure. In fact, you often learn more from failure than you do from your successes when you are trying to innovate or make changes. I would take it even a step further. I would suggest that we look at failure as a requirement for success. Success is not the opposite of failure, but failure is required for success especially if you are trying to do something that has never been done before. You cannot help but fail when you have to figure things out as you go because there is no lead to follow. So, failure really is how you figure out what does not work. Failure is required to get to what will be successful. Innovation is impossible without failure. After the event wrapped up I was thinking about the discussion and realized that it is not failure that should be viewed as negative or even scary. Rather the consequences of the failures. In fact, if we work to avoid failure at all costs and fear it, we risk our opportunities to workout and fine tune our approach and techniques prior to a time where the cost of failure is much higher. Gen. George S. Patton stated this as “The more you sweat in peace, the less you bleed in war.” inspired by an old Chinese proverb saying a drop of sweat spent in a drill is a drop of blood saved in war. If we can welcome failure as a necessary part of a process toward success we are much more likely to better our chances of success when the risks are higher and the consequences of failure carry with it much higher costs or even death. Failure is the sweat of trying. Failure is the byproduct of the effort that brings us to a better solution or ultimately to true innovation. Applying this to a diving context is easy and is part of the Precision Diving mindset. It is part of our approach to accept that we are not as good as we think we are. This is the foundation of our thinking as Precision Divers. We are always trying to be better this dive than the last and better next dive than this one. If we accept this, we are accepting that failures are part of our successes and a required part of the process. To be a better diver we have to strive for allowing for mistakes and failures to occur regularly. Ideally, while we are training and in less critical environments than when such errors or failures would have truly negative consequences. We work hard on mastering ideal breathing and creating a ritual around having it become habitual or automated behavior. The evolution takes time and mileage. We have a lot of time in the beginning where we are not using ideal breathing. It is also why we spend time learning how to regain ideal breathing and working on recognizing when we are not using it. Accepting that this process takes time, that success comes from failures, and being better able to recognize when we are not breathing ideally is critical in reaching the ultimate goal of having ideal breathing be present no matter what we are doing. More importantly, having the choice to deviate from it when we decide it is necessary to control our diving; control rather than happy accidents. As instructors, we need to provide the room and freedom for our clients to fail and have that be okay and acceptable. Then, we can provide the tools, techniques, and support to make those failures become successes. Often, more is learned by failing than just succeeding. We can take this one step further by arming our clients to be able to think through situations and have a mental image of where they should end up. It can be very powerful for a client to self correct or solve their own problems without help. Perhaps, we should consider praising failures especially when self corrected and help walk the client through the progression that occurred. At a minimum, take a close look at our own diving and how we present and react to failures from within and with our clients. 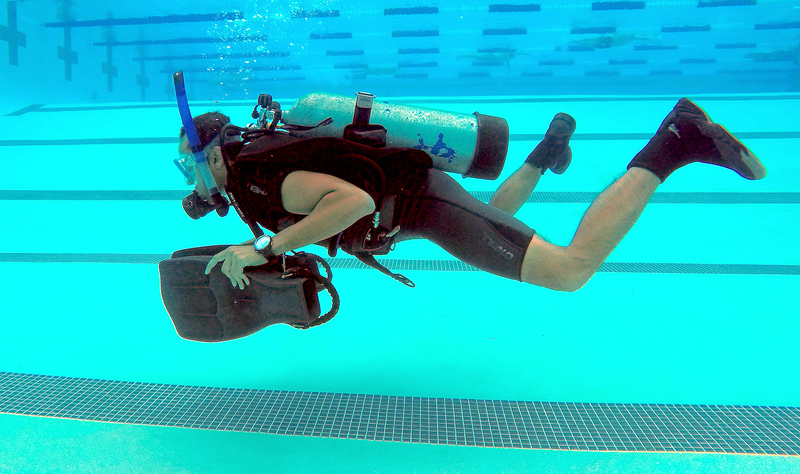 Buoyancy is a foundational skill in Precision Diving. We know it will take thirty to fifty dives for an active diver to become intuitive or automated with it, if they are lucky. It will take fully up to two years for all of the mindset and approach of Precision Diving to seat for a client. So, we need to provide repeated opportunities for clients to exercise foundational skills. It is the drills, missteps, and feedback we facilitate that help guide our clients through the process of refining their abilities and moving buoyancy control from the threshold of holding position within a few feet in either direction, to a few inches in either direction, to no movement in either direction. Over time, the client will own this awareness and begin to advance their refinements without us. Then, you know they have begun to arrive. The more opportunities we can provide for safe failures or ones with minor outcomes, the better the outcome may be if the consequences of failure are larger. This becomes even more critical in technical diving applications where error chains are much shorter and the risk of adverse outcomes is much higher. Plus, the increased confidence derived from knowing you can solve problems and fix things as they happen only makes the possibility of positive outcomes even better. We want to make sure that every client has the full capability they can develop from their time with us. We owe it to them to help facilitate failure and learn from it while accepting it is an important part of the process toward confidence and success. As Precision Divers we want not to fear failure or try to avoid it in our process toward ideal performance, rather we want to view it as a natural component on our road to success and innovating our own diving. This is not unique to diving, but likely a good lesson for us in all of our life. It has been for me.